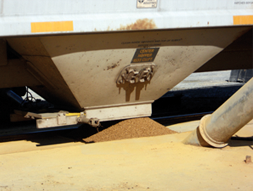 Rail Enterprise Group’s four railroads are industry leaders in bulk transloading services. 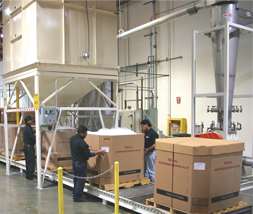 Much of our infrastructure has been modernized to accommodate the specific requirements of our bulk products customers. Our total number of carspots - both active transloading and storage-in-transit - are unequalled by any other shortline. The Raritan Central has 150 bulk transloading carspots and 150 storage-in-transit carspots. The Pennsylvania & Southern has 100 bulk transloading carspots and 650 storage-in-transit carspots. Combined, our two operations in Iowa and Tennessee will have over 200 bulk tranloading carspots and 7,000 storage-in-transit carspots. This extensive capacity enables our railways to handle even the largest shipments. Customers who use our transloading and bulk transfer facilities enjoy guaranteed car spots, complete car/inventory tracking, and storage-in-transit capabilities free for the first thirty days. In addition to our rail infrastructure, our operations are backed by some of the best 3PL services available in the country. Rail Enterprise Group locations feature cross docking, warehousing, trucking and distribution services provided by some of the most respected names in the industry. The business parks we serve can also accommodate individual needs for warehouse or manufacturing space, as well as outdoor storage areas. Middletown is central to extensive farming regions in Iowa, southern Wisconsin, Illinois, and Missouri. Milan reaches Tennessee, western Kentucky, eastern Missouri and Arkansas, southern Illinois, and northern Mississippi and Alabama. 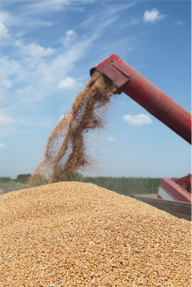 Liquid or bulk food-grade products can be handled at our food-grade transloading area. 3PL partners have a full range of transloading/ transportation options available. 3PL partners available to handle almost every transloading, trucking, packaging, or warehousing requirement.